Visually spectacular, action-packed and enduringly provocative since its original 1982 release, the stylish noir thriller Blade Runner with the enigmatic role of 21st-century detective Rick Deckard. As he hunts for vengeful, fugitive replicants in a high-tech future soured by urban and social decay, he is drawn to a mysterious woman whose secrets may undermine his own soul. 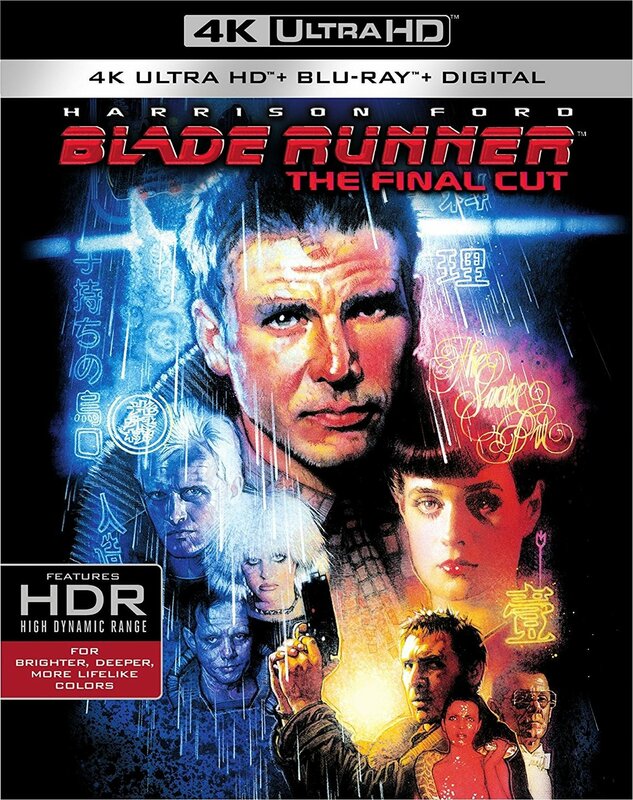 The 4K Blu-ray disc of Blade Runner: The Final Cut will feature a Dolby Atmos soundtrack remixed specifically for the home theater environment to place and move audio anywhere in the room, including overhead. To experience Dolby Atmos at home, a Dolby Atmos enabled AV receiver and additional speakers are required, or a Dolby Atmos enabled sound bar; however, Dolby Atmos soundtracks are also fully backward compatible with traditional audio configurations and legacy home entertainment equipment.